Having seen around 180+ movies this year, sitting down to create a list of the best films of 2014 isn’t easy. There are a lot of films I didn’t want overlooked, so they’ve been added in and while the list isn’t extensive, it’s definitely a mixed bag and doesn’t stick to one genre in particular. And to help fuel the fire that I might get for some of these, I’ll just admit that this is all subjective, let’s just face the fact that this is less of a “best” list and call it my “favorites” list. These are the list of films that stuck with me long after I saw them, that gripped me emotionally, psychologically, or were otherwise so downright entertaining and immediately came to mind while drafting this piece. They’re my best of the best, the cream of the crop, the top prize, etc. (and I tried to keep it to 20, but it was really hard, so you get 21!). 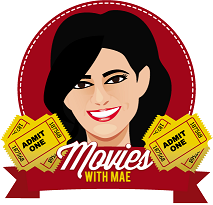 I’ll see you at the movies in 2015! 10. 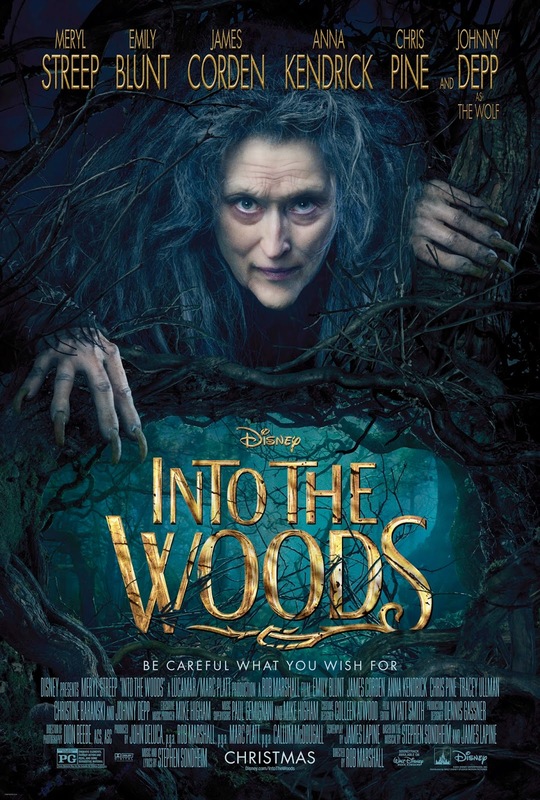 Into the Woods – If you couldn’t already tell, I’m a fan of this musical. I was so excited when they announced they were bringing it to the big screen, but I was also full of trepidation because it was being produced by Disney and the musical gets a little, well, dark. Darker than all the Disney animations we’re used to seeing. But I was put at ease as soon as I saw it. It’s filled with what all musical adaptations should have: Namely, great creativity when it comes to shifting between stage and screen. And of course, Rob Marshall’s able to do that, all while keeping the humor and darker moments. Cinderella’s Prince: I will always love the maiden who ran away. Cinderella: And I the handsome prince. 9. 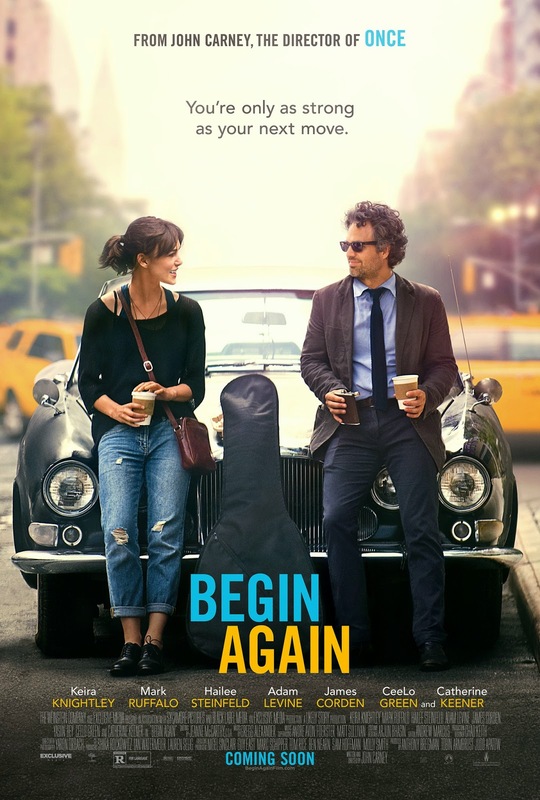 Begin Again – The question here is this: How can anyone watch this film and not like it? Mark Ruffalo is a down-on-his-luck music producer who hasn’t produced a hit artist or song in a long time. Enter Keira Knightley and include her reluctance to pursue a singing career, only Ruffalo’s convinced of her talents and hears that magic when he listens to her music. The story is heartfelt, genuine, and really very sweet and subtle. The story borderlines romantic but never quite gets there, which makes it even all the more better since it’s realistic. Mark Ruffalo and Keira Knightley have unexpected chemistry and the music is fantastic. Side note: Maroon 5 lead singer Adam Levine isn’t bad at acting. And what really catapults the movie from being great to just wonderful is the road the characters take, the jabs at the music industry, and, of course, the song “Lost Stars,” which deserves all the love it can get, and probably an Oscar for Best Song. Dan: That’s some song you got there. I promise you it could be a big hit. Plus you’re beautiful. Greta: I’m sorry, what’s beauty got to do with anything? Dan: Jesus, you’re tricky, aren’t you? 8. The One I Love – The trippiest romance movie. Ever. Just when you think that you know how this one will end, you’re in for a surprise. A big one. I feel weird just thinking about giving it away if you haven’t seen it yet. And if you haven’t, what the hell are you waiting for? 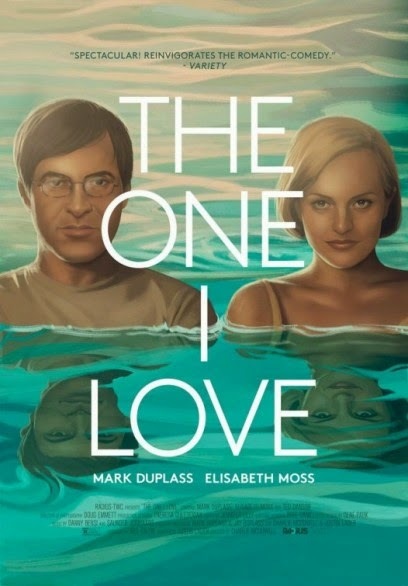 The film really digs deep in looking at relationships, and Elisabeth Moss and Mark Duplass really sell it as the married couple who are on the brink of their relationship falling to pieces when they take a weekend getaway trip and end up getting what they didn’t expect but essentially what they bargained for. Kind of. A huge twist on what we’re used to seeing in romantic films, The One I Love takes a big risk and it pays off. Filled with humor, drama, suspense, and a lot of mystery, this film will give your brain a lot of thinking to do after it’s over. 7. The Grand Budapest Hotel – If there’s one thing that’s clear about Ralph Fiennes is that he has a great knack for comedy. And director Wes Anderson utilizes this fact to its maximum capacity. In one of the best ensembles of the year, one of many on this list, comes a story about a hotel manager and his lobby boy. 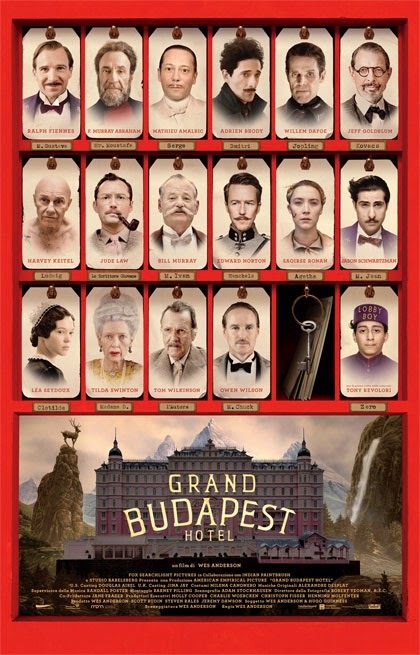 The script is fresh, original, and plays to Wes Anderson’s strengths, as well as to the strengths of his cast. The production value and cinematography are superb, and the humor plenty. Plus, you could probably watch a GIF of Ralph Fiennes running from the cops over and over again. 6. 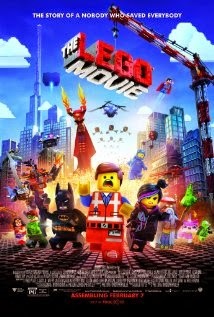 The Lego Movie – Most people thought that a Lego film would essentially fall flat on its face. Who would want to see a movie about a bunch of Legos? Well, the people over at Warner Brothers thought that everyone would want to see a Lego movie, and they were most definitely right. Probably one of the biggest surprises of the year, The Lego Movie is everything an animation could hope to be and more. It’s just shy of being perfect and gives us important lessons and gives the chance for a nobody to be somebody, and the sidekick to not just want to be relegated to being a sidekick just to make the Special look good. It’s all very deep once you look past everything and damn entertaining! Emmett: You don’t have to be the bad guy. You are the most talented, most interesting, and most extraordinary person in the universe. And you are capable of amazing things. Because you are the Special. And so am I. And so is everyone. 5. 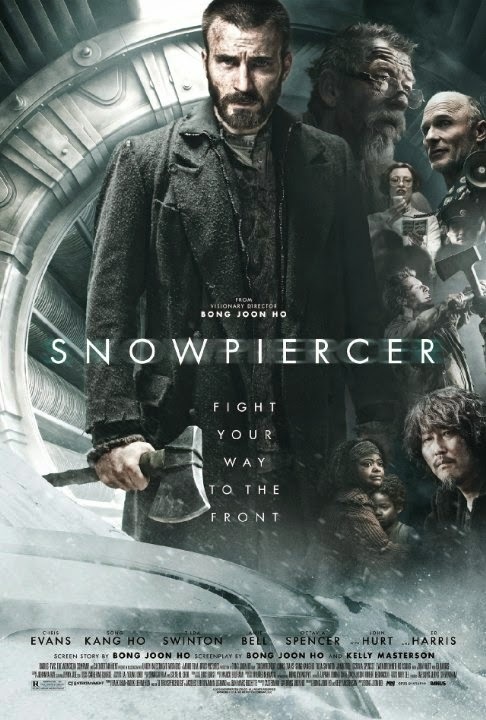 Snowpiercer – This is the first English-language feature film for director Bong Joon-ho. And you know what? He gets it right. The production value, a re-envisioned take on already-used themes, and fantastic execution and performances by Chris Evans, Octavia Spencer, and Tilda Swinton, among many others, makes this movie really stand out. It’s dark, it has fantastic themes, and keeps you on the edge of your seat throughout. Watching Snowpiercer is essentially like being on a thrilling ride you never want to get off of. As the passengers, who are the last of humankind and are placed in a class system on the train that makes a complete turn around the earth every year, grow tired of being mistreated, they plan to take over the train one car at a time. This literal look at society’s economical system is in heavy play here and Bong Joon-ho’s direction takes center stage in a suspenseful epic that deserves to be seen and gives us something to think about. Mason: Passengers, eternal order flows from the sacred engine. We must occupy our preordained position. I belong to the front, you belong to the tail. Know your place! Keep your place! 4. 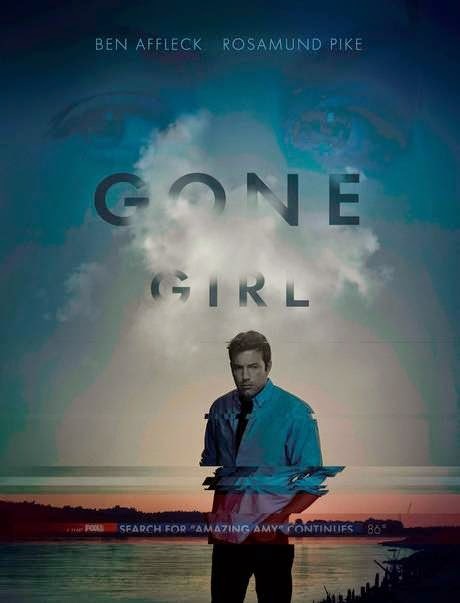 Gone Girl – One of the best adapted screenplays of the year (probably because Gillian Flynn, the author of the novel, was the one who adapted the script), Gone Girl is chock-full of powerful acting, a crazy plot, and just the right balance between drama and insanity. Flynn writes with a deft hand and layers the story with proverbial stereotypes about certain gender notions and exceptionally memorable characters. Rosamund Pike’s monologue about the “cool girl” is so popular, and for good reason, and her portrayal of Amy is nothing like we’ve seen from the actress before. Ben Affleck is the accused husband whose life hangs in the balance between normal life and prison (mostly due to the media’s twist and portrayal on the proceedings, which plays a large part in the film). I could go on and on with all the great things to say about this film, but just know this: It’s excellently done. The entire “Cool Girl” speech. Duh. Read it here. 3. X-Men: Days of Future Past – We can never forget Brett Ratner’s turn in the director’s chair for the doomed X3, but now with Days of Future Past, we kind of can. Finally! 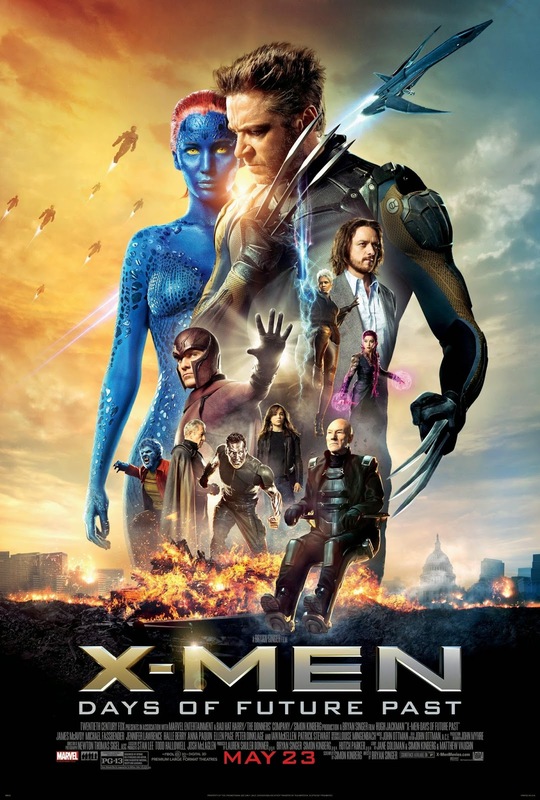 The excellence that was X-Men: First Class and the wonderful first two X-Men films combine worlds in a time travel mash-up that was exciting and more than fulfilling for longtime fans of the movies and comic books alike. For one thing, Bryan Singer is back in the director’s chair and the fluidity with which he directs what could have been a complicated plot (what with flip-flopping timelines and all) could have ended in disaster in anyone else’s hands. Plus, spoiler alert, every X-Man (and woman!) makes a reappearance in a spectacular fashion. A definite example of how superhero films should be done. Charles Xavier: Just because someone stumbles and loses their path, doesn’t mean they’re lost forever. 2. Birdman or (The Unexpected Virtue of Ignorance) – What is there to really say about Birdman that hasn’t already been said? Most of the time, critics don’t agree on everything, but when they do, there’s reason to, and this film is definitely reason to. 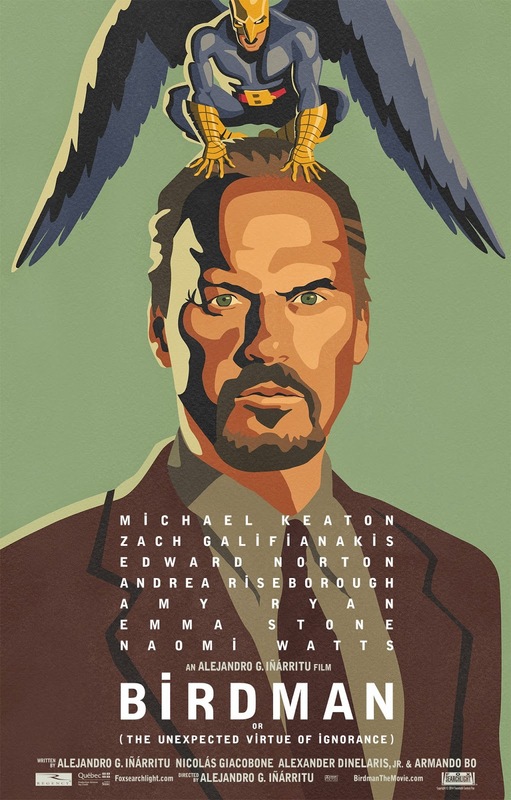 One of the reasons to love it is that the story pretty much, and ironically, mirrors Michael Keaton’s career and rehabilitates it all in one go. The ensemble cast is fantastic, it’s a cohesive story, and director Alejandro Iñarritu gets technically creative when it comes to the style and oh, yeah, the entire film looks like it’s entirely one shot. Which is just awesome. That is all. Sam (to her dad): You’re doing this because you want to feel relevant again…. You’re the one who doesn’t exist. You’re doing this because you’re scared to death, like the rest of us, that you don’t matter. And you know what, you’re right. You don’t! 1. 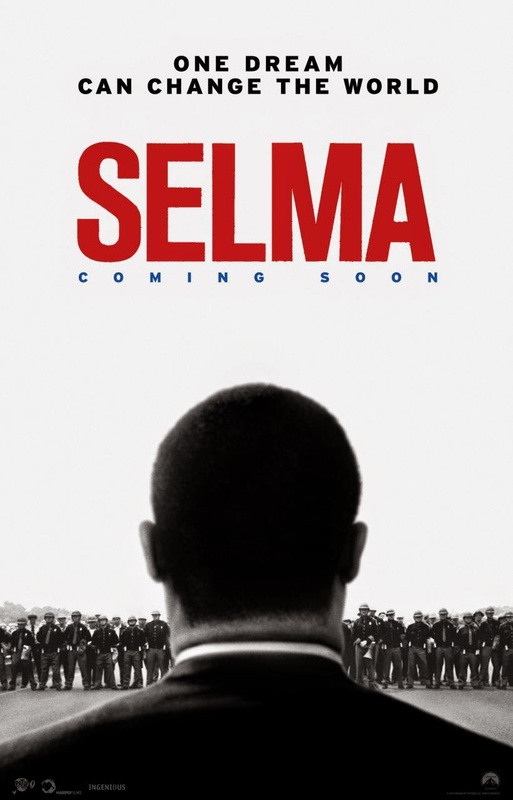 Selma – A lot of people won’t see Selma until January 9, but believe me when I tell you that if you see this film and manage not to like it, then… well, you won’t like it, but that in and of itself would be a tragedy. This film couldn’t have come at a better time and director Ava DuVernay takes great care to make this film, first and foremost, about Martin Luther King, Jr. Everything else is just an extension of him and only serves to make the film that much better. It’s powerful and outstandingly moving, will probably make you bawl like a baby (bring tissues! ), and will leave a great impact on you like no other film will this year. Selma is also backed by a strong cast (David Oyelowo as MLK is outstanding) who really step up to the plate. The best picture of the year! Martin Luther King, Jr.: It is unacceptable that they use their power to keep us voiceless. As long as I am unable to use my constitutional right to vote, I do not have command of my own life. I cannot determine my own destiny. For it is determined for me by people who would rather see me suffer than succeed. Those that have gone before us say, ‘no more! No more!’ That means protest. That means march. That means disturb the peace. That means jail. That means risk. And that is hard. We will not wait any longer. Give us the vote. We’re not asking. We’re demanding. Give us the vote! Honorable mentions include: Enemy, Edge of Tomorrow, Captain America: The Winter Soldier, Force Majeure, Citizenfour, and Whiplash.